The world cup is upon us and what a start it’s been! 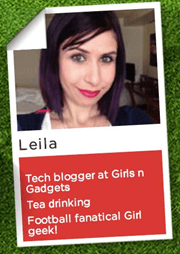 Okay, so I’ve had to edit this post due to a technical glitch with wordpress, so England are out! No surprise there then! I have to be honest, I think England played really well and were the better team in most of their games. They were especially unfortunate against the Italians, but I think the team have got a really good chance in 2016 in the Euros. They have 2 years to play together and get it right and I think they will. We may not win, but I do think we will go far. Anyway, as you may have seen from my Twitter, I was a judge in the Currys and PC World Footy Fib competition. It was so much fun reading through everyone’s fibs. A massive congratulations to the winner, Cheryl Pearson! She did make me chuckle and I hope she’s loving her new TV! 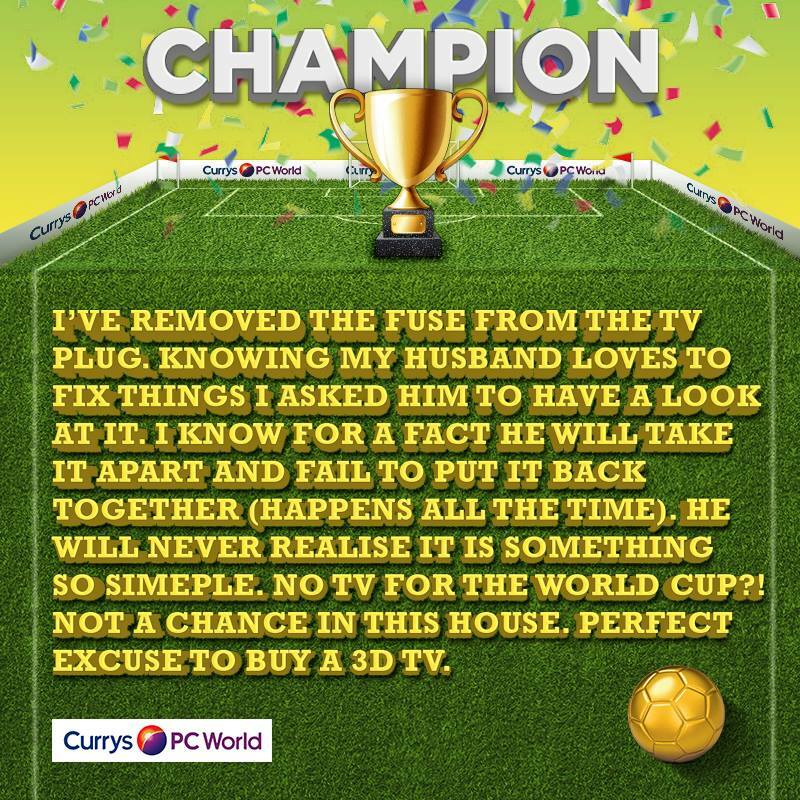 I was super lucky to be given an awesome viewing set up for the World cup by Currys and PC World. I have to be honest, I thought my set up was nice before… I had my 42″ telly and floor standing speakers etc etc… But then my package arrived and when I unboxed it all, it made my setup look old and backwards. 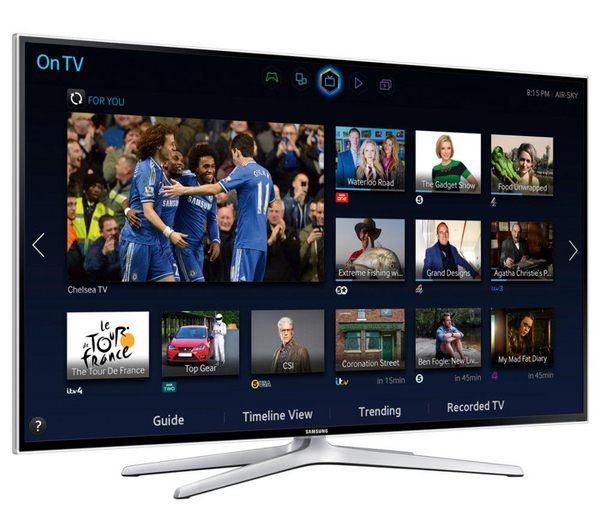 I was sent the Samsung UE48H6400 Smart 3D 48″ LED TV (£699.00) and the Samsung HW-H355 Wireless Soundbar (£144.99). What a difference! Having got rid of my floor standers, I was amazed at how much more room my living room had – added bonus right there! So, down to the nitty gritty – the TV is full HD 1080p, 400Hz processing rate, it’s 3D ready and comes with 2 pairs of 3D glasses. There’s built in WiFi and a good number of USB ports, which in this day and age is essential. I was really surprised at how many of the USB ports I used. It’s extremely energy efficient and is the highest grade, A, in the energy efficiency class. The ‘Smart TV’ services are fantastic! Not only do you get all of the TV catchup services such as iPlayer, 4OD, 5 Demand etc, you also get built in Netflix, Facebook, Skype, Twitter and full internet browser. The smart remote, which is surprisingly small, makes it so easy to navigate around the telly and you can even bark demands at the TV by using the voice activation feature on the smart remote. The picture quality is so amazing, it’s crisp and smooth and it almost makes films look like they’re reality TV programs. There is a, what I would call, novelty feature called ‘Football Mode’ which is intended to enhance your watching pleasure. I think this will be matter of taste as I quite like it, where as my husband finds it a bit full on. It optimises the picture and sound so you can get the most from the match you’re watching. It also creates highlights and enables you to pause, rewind and them zoom, allowing you to challenge the refs decision from the comfort of your armchair. 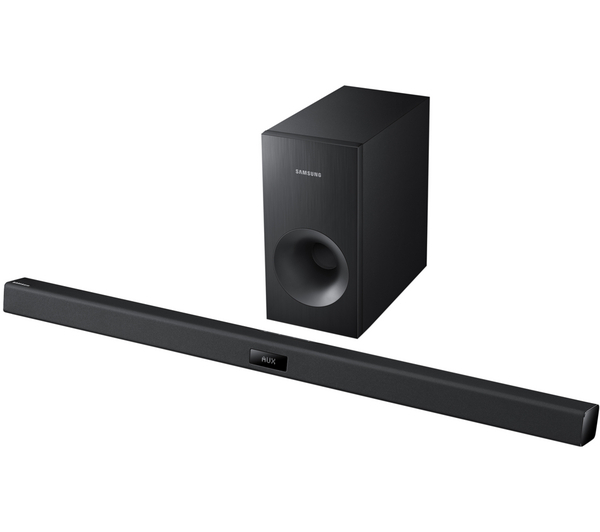 Along with the TV, I was sent the Samsung HW-H355 wireless soundbar (Bluetooth, 120W). I have never had a soundbar before, so I was pleasantly surprised at how it enhanced the sound. However, there are a few niggles I have with this particular one. Mainly being, that when the TV is turned on, it doesn’t automatically connect to the soundbar. As the remote for it is quite small, so I find myself hunting around for it and last resort is that I have to turn it on at the unit. Luckily I have small, slim fingers as it’s attached to the wall and the on switch is just a touch underneath the back panel, but if you have chunky digits, this may prove difficult and frustrating. When it’s on, it connects quickly and works well. The sound quality is okay, but I would personally recommend upgrading to one of the more powerful options to really enhance the sound experience. To be fair though, it really is a steal at just £144.99, so if you just want standard enhancement, this is more than enough for your requirements. Overall, I am loving my TV setup and I’m thrilled with the TV in particular. Be sure to upgrade before the final and watch it in style. It’s shaping up to be electric!